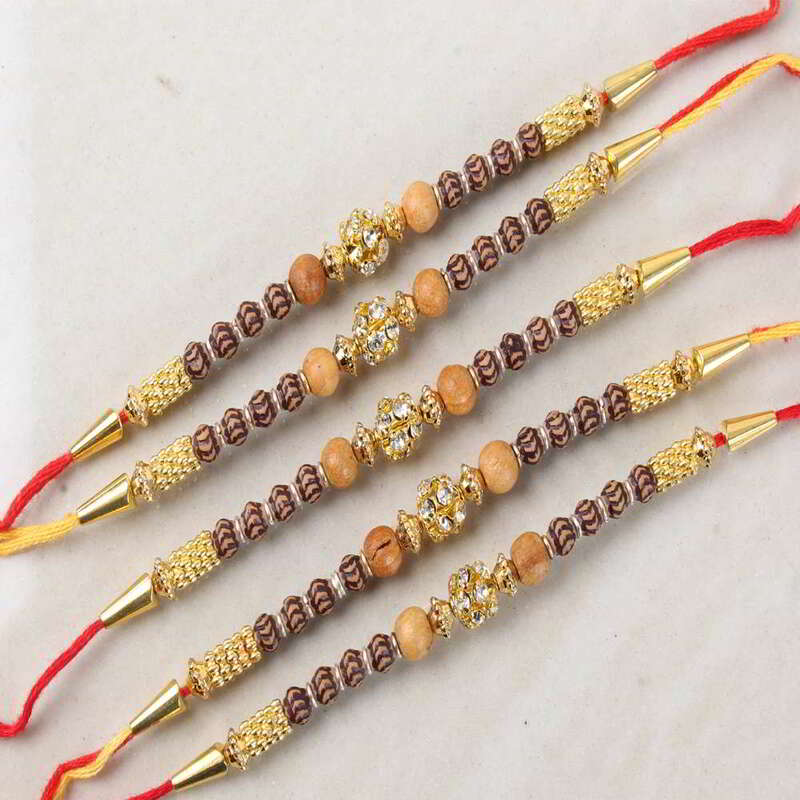 Product Consists: Bundle of Five Designer Wooden Diamond Studded Rakhi nicely tied on a designer Card. 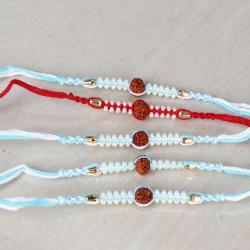 Gifting this special rakhi sets through Giftacrossindia.com on this year will make your celebration unforgettable. 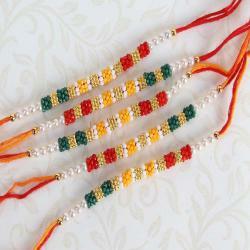 This color combination rakhi thread gives a rich look which will be loved by all. Celebrate this Rakshabandhan with us. 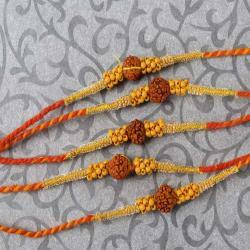 We present these rakhi to lead the grace on the arm of your dearest brother with all affection and love. Rakhi thread unites the countless emotions like promise, protection and love between a brother and sister from long time. Hurry up order now. 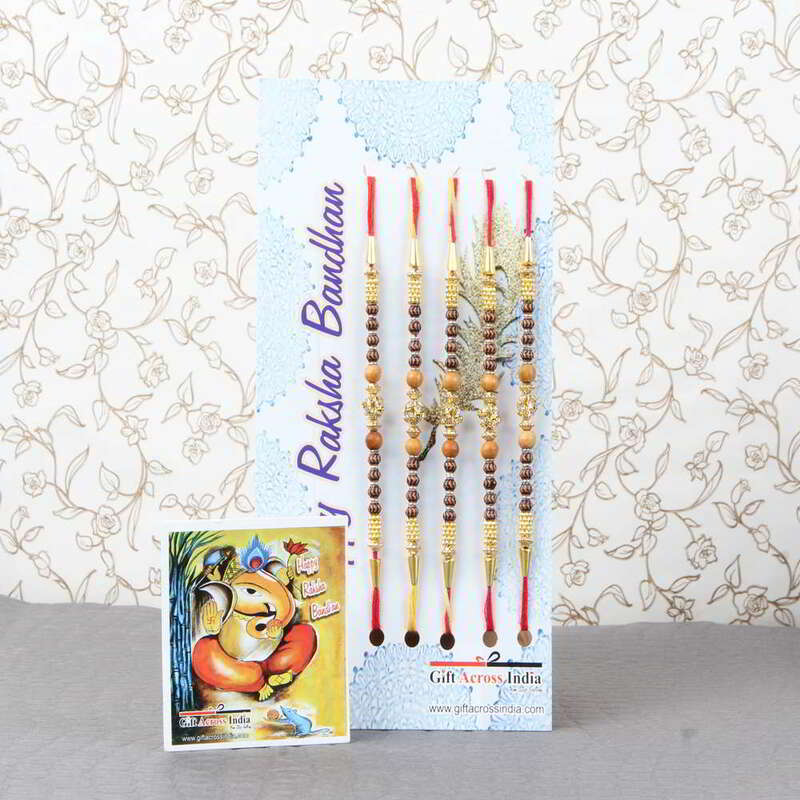 Product Includes: Bundle of Five Designer Wooden Diamond Studded Rakhi nicely tied on a designer Card.